This day has been amazing so far. 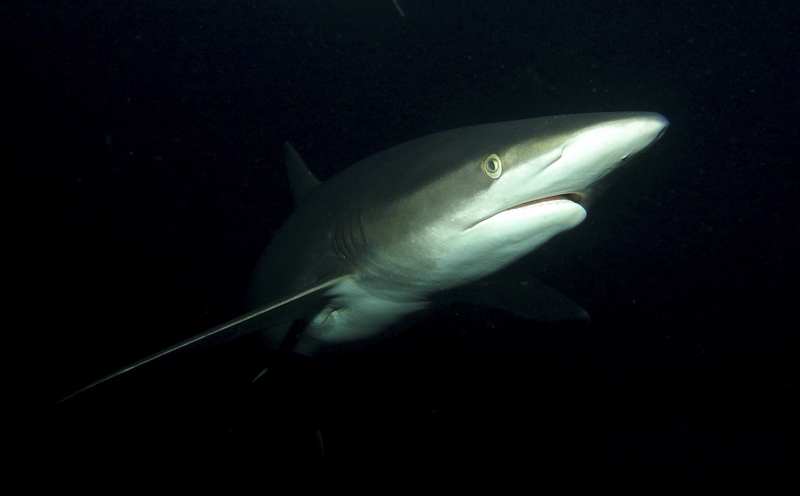 Our first dive was fantastic, with great conditions, low to no current, 78f water temp and 100′ plus visibility. We had up to seven dolphins and two mantas all interacting with our divers. Thumbs up and big smiles as the skiffs returned to the ship. Dive 2 was on par, if not better than dive 1. Our divers experienced five mantas all at once circling and interacting around the cleaning station, and then in the blue schooling hammerheads numbering 30-40 sharks. The current increased and started flowing from the north, still mild, but visibility stayed excellent at 100 plus feet. As we assisted the divers from Skiff to divedeck, my inquiries on how many mantas was met with comments like “lost count! dozens! and don’t forget the hammers!”. Really excited and happy divers, now drying off, reviewing photos and video and heading for a hot lunch. Yesterday afternoons dives at Pta Tosca were good, but the silkie snorkel followed by Taco night on the sun deck took the cake. We had numerous very active and inquisitive Silkies (I counted 15 at one point) and the snorkelers got a real thrill out of them chasing flying fish. Pibe put out some excellent food, and the crew set up the sundeck perfectly with party lights and music for the taco fiesta. All guests and crew are happy! Daily dive and conditions reports from our captains onboard the Nautilus Liveaboard vessels. 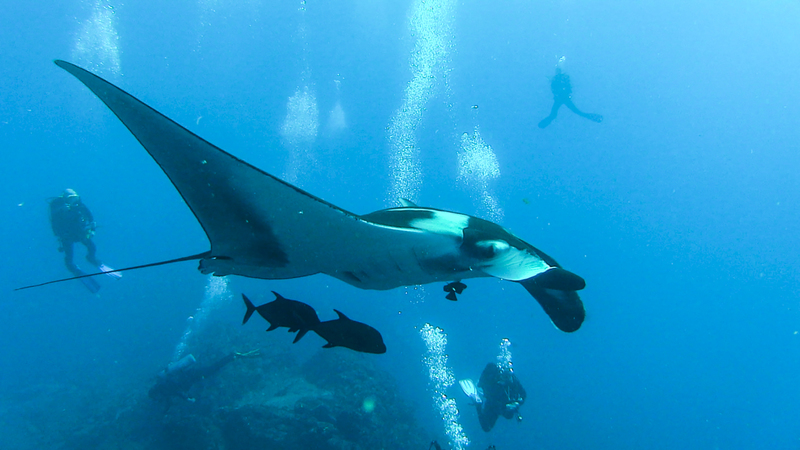 Diving with Santa and Giant Mantas! This website is automatically translated. Policies, Waivers, and Terms and Conditions are only valid in English, in case of contradiction with the automatic translation. We invite you to read our brochure in your language on this page .